When a young, pretty woman interviews for the cashier position at his tackle shop, Trevor Dawber rethinks his prayer request. Mae was not what he had in mind when he asked four elderly women to pray for him in hiring his first employee. She was just the kind of lure he didn't need in his fishing store. 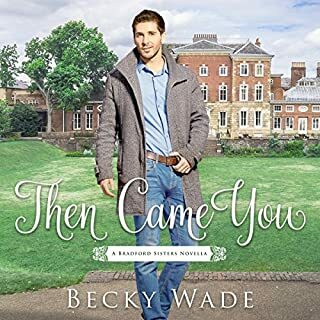 When Meg Cole's father dies unexpectedly, she's forced to return home to Texas and to Whispering Creek Ranch to take up the reins of his empire. The last thing she has the patience or the sanity to deal with? Her father's thoroughbred racehorse farm. She gives its manager, Bo Porter, six months to close the place down. Bo knows he ought to resent the woman who's determined to take from him the only job he ever wanted. But instead of anger, Meg evokes within him a profound desire to protect. A young pastor is opposed to his congregation's attempts at matchmaking until he falls hard for one of the new choir girls. Well-meaning elderly women and an autograph book inspire sermon material in this heartwarming Christmas romance set in the small town of Silverton, Oregon. Two recipes are included. Heaven Sent, my fourth read from author Sherri Schoenborn Murray. 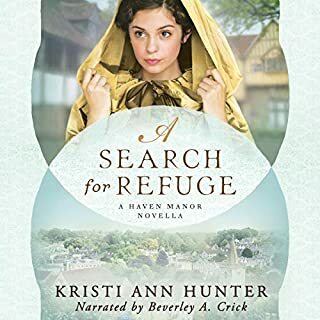 An at times somewhat humorous at times poignant and always wonderful Christian romance that was a thoroughly entertaining book that I very much enjoyed reading/listening to. The narrator’s singing added enjoyment to my listening, she did such a wonderful job of narration. 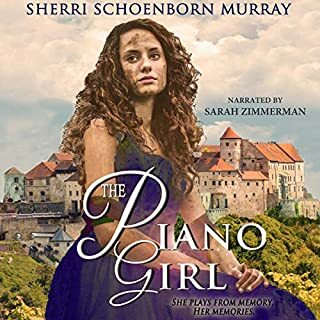 If I see Sherri Schoenborn Murray’s name on the book I’m guaranteed a good read and as good as her other works have been this is her best I’ve read! Heaven Sent is a humorous cautionary tale on the consequences of poor communication! Couples that can't over the course of twelve years communicate their feelings for one another, people who write coy messages hidden in autograph books, gossips that damage hearts and lives under the guise of a telephone prayer chain, and people that flat out don't listen. My favorite parts were the well-developed small-town characters and the references to processed convenience foods used liberally by one of the gossips. Funny remarks here and there had me laughing out loud. The writing - narrative and dialgoue - was well done. The romance(s) never grabbed me as I never cared for either of Isabel's suitors and hoped the ending would take a different course entirely. Alas, it did not. Isabel's feelings for her sort-of boyfriend in the first half felt murky, at best. For different reasons, each of the men needed a good slap upside the head. I also thought a little much was made of a girl traveling 20 miles from home. The narration was excellent as so many distinctive voices were necessary - women and men, young and old. As a bonus, the narrator sung passages of hymns and carols as well. Very, very well done. I received a review copy. Opinions expressed are my own. Aww...this was such a sweet story. Definitely Hallmark Channel worthy. 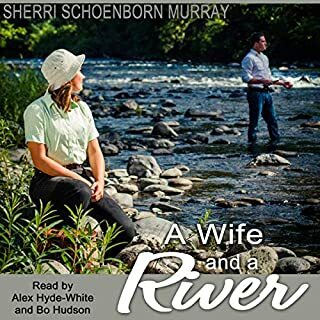 Author Sherri Schoenborn Murray creates a setting in a small rural town in the 1960s. Life is about community and family. In this case a church family. There's humor and romance, just perfect for this time period. A group of young ladies have been selected to join the church choir in preparation for the Christmas season. It just so happens the current pastor of this particular church is young, handsome and available. Join in the fun as 7 little old church ladies (The Granite Girls) pray for someone special for their pastor and decide to help the Lord with this process along the way. 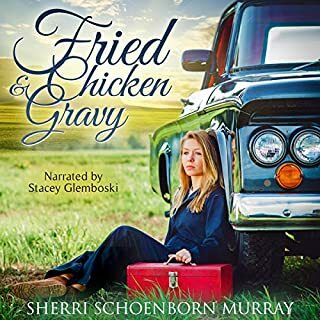 Narrator Stacey Glemboski's performance is spot on. IMHO, Netty Cooper stole the show. 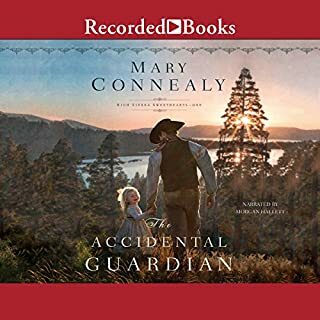 In this particular audiobook, there is a little bit of singing (this is about the Christmas Church Choir) and Ms. Glemboski's voice is lovely. Thank you for the lovely listening experience. This is not the first audiobook I have listened to by either the author or the narrator. I enjoy both their work and I think they make a great team. This review has been voluntarily submitted. I received a copy of this audiobook free from the author. This is a sweet romance, based on a Christmas Choir. Isabelle has been selected to join an all girls choir, giving a five week concert at a small church in a neighboring town. Since she has neveer been anywhere, she is looking forward to the time, but Alfred, her boy friend, doesn't want her to go. He is afraid that she will decide not to return. When she arrives she meets the pastor and finds that he is unmarried, and is very attracted to her. Having seperated from Alf with very unclear feelings, she finds herself attracted to John, the pastor. This is a good story and I found myself going back and forth trying to decide which man I wanted her to choose. I think lyou will enjoy this too. Charming, small-townish. Very sixties. Quaint. Isabelle is a choir girl in the town of Silverton, for five weeks. She couldn't wait to leave her hometown for this experience. But why couldn't Albert, her almost-boyfriend understand? Just like most small towns, Silverton has its share of gossiping busybodies. This charming tale will have you yearning for Christmas at home. I recommend you listen to the audio version-it's wonderful! !